A beauty boosting breakfast rich in omega 3 fatty acids. Omega 3 helps to boost skin cells natural defences. 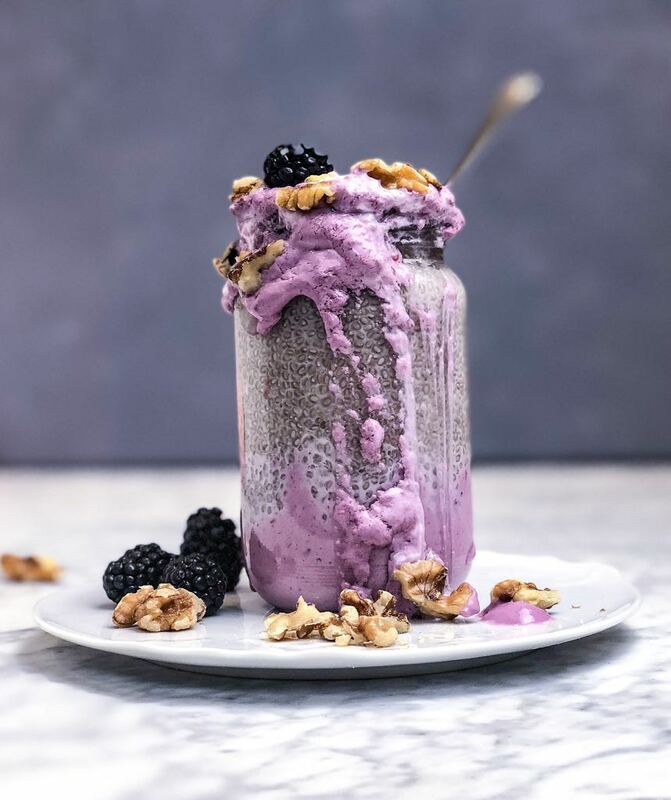 Place the chia seeds and acai into a large bowl and then slowly add the almond milk; keep stirring whilst you add the almond milk to avoid clumps. Once you have added all the almond milk, set the bowl aside for the first 5 minutes and aim to stir every minute or so to avoid unwanted clumps. After 5 minutes, place the chia pudding in the fridge for 1-2 hours. Do check and give the pudding a stir after 25-30 minutes. For best results, soak overnight. Once set, begin prepare the berry yoghurt. 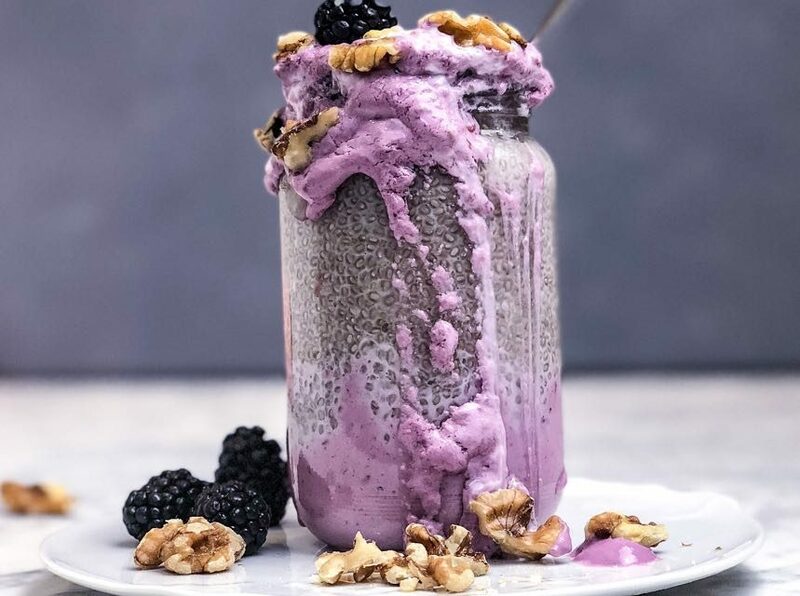 Place the blackberries and Greek yoghurt in a blender and then blitz. Place half the mix in a jar and spoon the chia pudding on top, and then pour the remaining yoghurt on top. Finish off with the chopped walnuts and a few blackberries.